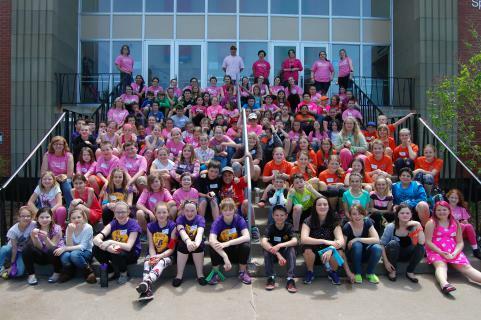 On May 29, elementary students from across CCRSB gathered together at the Truro Campus of the Nova Scotia Community College for the Elementary Leadership Conference. The purpose of the conference was to celebrate all of the wonderful things the student leaders have done to help their schools over the 2014-2015 school year. The leaders at the conference were Student Council members from Cobequid Educational Centre, as well as student leaders from Truro Junior High School. There were 100 students in attendance from eight elementary schools, including: Bible Hill Central, Cobequid Consolidated Elementary(Old Barns), Debert Elementary, Harmony Heights Elementary, Truro Elementary, Truro Junior High (Grade 6 students), Junction Road Elementary and West End Memorial Elementary.